Congratulations to Alana Bradley who won a scholarship from the National Technical Honor Society! She is one of 16 winners in North Carolina. The National Technical Honor Society serves over 100,000 student members annually. 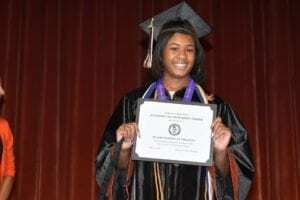 Awarding over $1.7 million in scholarships to date, NTHS honors the achievements of top CTE students, provides scholarships to encourage the pursuit of higher education, and cultivates excellence in today’s highly competitive, skilled workforce.